Portrait of Handel, holding a score of Messiah, by Thomas Hudson (1748). Handel's famous oratorio Messiah comes down to us as the best known and most widely performed of his compositions. Its fame rests on many factors including its gestation under favorable social circumstances then and its versatility and easy availability now. Overriding these extraneous factors is the virtue of the music itself: majestic and contrite by turns, carefully balanced throughout, and within the capabilities of diligent amateurs. This website provides copious performing materials for Messiah together with substantial background and editorial information. 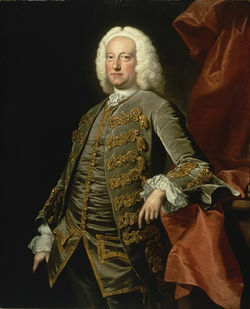 Portrait of Charles Jennens, who wrote the libretto for Messiah, by Thomas Hudson (c. 1745). Handel's Messiah has always been suspended between the sacred and secular spheres. The title Messiah, used for its first performances in Dublin, suggests a sacred work, although it was initially performed as a concert piece. 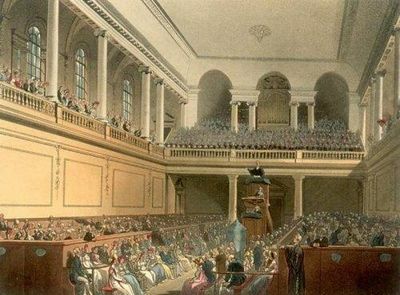 It was simply called a Sacred Oratorio in the libretto for its London premiere (1743), but objections were consequently raised to its performance in the theater. Not until performances began in the chapel of London's Foundling Hospital (1750) was the ambiguous nature of the work matched by a similar ambiguity of performing space. Eighteenth-century classicism appropriated for the secular world much material from Biblical studies. Messiah's chameleon ability to transcend social and cultural boundaries, which continues to expand up to the present day, was an important instance of this phenomenon. The oratorio consists of three parts: (1) music narrating highpoints from the prophecy of Isaiah to the early life of Jesus; (2) Jesus's birth, death, and resurrection; and (3) the sins and judgment of mankind. Each of these can be parsed into several scenes. Handel's choruses serve as a good guide to the many segments of the work. All the choruses are present in the autograph manuscript of 1741. They proved to be the most unvarying components of the work. The choruses, which are scored for sopranos, altos, tenors, and basses, call for string accompaniment. Trumpets are required in "Glory to God in the highest," and oboes were added in later revisions. The same principles pertain to the remaining choruses of the work (with one exception*): all of them originate in the 1741 autograph. Part Two has the largest number of choruses and culminates with the great "Halleluiah" chorus. Where they overlap with choruses, adjustments to solo parts caused some variability of scoring from version to version. The movement we term 2.16* in our edition is known to have existed in five versions, and the chorus indicated here first occurs as a separate one in 1745. The segmentation of the text and the portions assigned to soloist and chorus vary from case to case, both before and after 1745. (Details are given in the downloadable list of versions from Handel's lifetime.) Oboes are also called for in this later accretion. The "Halleluia" chorus includes parts for trumpets and timpani. Trumpets and timpani are required in the final chorus and concluding "Amen." A modern transcription of the full text is available online. Messiah is especially noted for its choruses. The most famous one is the "Halleluia" chorus that ends Part Two. The choruses are noted for their imitative vocal entries, which contribute to cascades of contrapuntal complexity as various groups of instruments highlight particular passages or counter vocal entries with musically complementary passages. Beginning of the fugal passage setting the text "And He shall reign for ever and ever," with staggered entries from the bass through the tenor and alto to the soprano. Stephen Malinowski's Music Animation Machine  presents a visualization of the "Halleluia" chorus in which these techniques are clearly visible. Unlike most oratorios, Messiah does not contain assigned roles. Yet Handel personifies beings that are influential in propelling his text forward in his use of arias. While working through a long parade of momentarily important characters, he takes great care to rotate from one voice to another. In Part One, the tenor leads off with "Ev'ry valley shall be exalted." Bass recitatives and arias are used for narration ("Thus saith the Lord"..."But who may abide" in Part One). The Annunciation (announcement of Jesus' forthcoming birth) falls to an alto ("Behold a virgin shall conceive"..."O Thou that tellest"). The soprano is reserved in Part One to recount the appearance of the angel to the shepherds ("There were shepherds in the fields"..."And lo the angel of the Lord"). The large number of choruses in Part Two reduces the role of arias. Handel seems to have great difficulty deciding on voice assignments in this section. Only the tenor contributions to the Crucifixion narrative and the closing portions of the section are unvarying across all early versions. Part Three is much briefer than the other two and contains only two arias—"The trumpet shall sound" (bass) and "If God is for us" (soprano). Duets also occur in Parts One and Three. Harmonic structures of the kind used in the nineteenth century did not predominate in Handel's lifetime. In a work as richly orchestrated as Messiah, a central reason for this was the tonal limitation of some brass and woodwind instruments. Brasses usually played in only one key, and in Messiah every piece involving trumpets is in the key of D Major. Oboes had fewer keys then than they do now. Scoring for them favored minor keys involving one or more flats. For Handel's time, notions of key symbolism are somewhat anachronistic. Yet a few key associations seem to indicate Handel's efforts to color the most important elements—God's overarching power (D Major), the gentleness of Jesus, the "Lamb of God" (Bb Major), and the sorrows of his earthly existence and of His mourners (F, G, and C Minor)—of the story in uniform ways. Our knowledge of the performance history of Messiah between the completion of the composition in September 1741 and Handel’s death in April 1759 is rich and constantly changing. When he composed Messiah, Handel expected it to be performed in London, but in November 1741 he was invited to Dublin for the purpose of offering a subscription series of concerts. This first series was such a success that a second series was launched on February 17, 1742. An open rehearsal of the oratorio took place On April 8. It was a bonus to reward subscribers' loyalty. Messiah was immediately declared "the finest Composition of Musick that ever was heard." 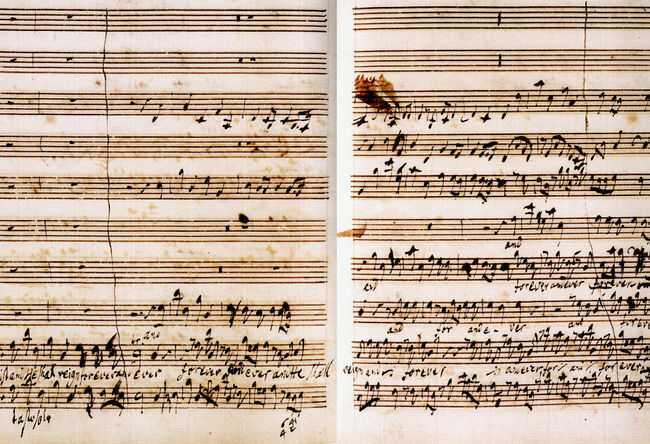 Opening bars of Messiah in Handel's 1741 autograph (British Library). The first official public performance (starting at noon on April 13, 1742) and the final Dublin performance (June 3, 1742) both took place in Neal's [the New] Music Hall on Fishamble St. To its first audience in Dublin Messiah was a resounding success in part because it achieved a great charitable goal: poor debtors were released from prison in proportion to its financial success. (The composer and two singers of the original cohort donated their share of the proceeds to this cause.) The June 3 concert involved some cast changes, and organ concertos were performed with it. Nine performances in Dublin can be dated between the premiere on April 13, 1742, and an Advent performance on December 16, 1756. All of them seem to have met with the “universal applause” merited by the subject, the setting, and the qualities of the performances. All were benefits, but not all targeted the same beneficiaries. Among the latter were the Dublin music publishers William and Bartholomew Mainwaring and the Charitable Infirmary. Neal's Music Hall on Fishamble St., Dublin. It was here that Handel's Messiah was first performed. One Dublin performance took place on February 1, 1744. After that Messiah became an Advent work in Dublin, even though in London it became firmly attached to the spring. G. B. Marella was the Dublin conductor in the 1750s. Attendees traveled tens of miles to witness a performance, year in and year out. Messiah has disappointed me, being set in great haste, tho’ [Handel] said he would be a year about it, and make it the best of all his Compositions. I shall put no more Sacred Words into his hands, to be thus abus’d. ‘Tis still in his power by retouching the weak parts to make it fit for publick performance; and I have said a great deal to him on the Subject; but he is so lazy and so obstinate, that I much doubt the Effect. I have with great difficulty made him correct some of the grossest faults in the composition, but he retained his Overture obstinately in which there are some passages far unworthy of Handel, but much more unworthy of Messiah. The oratorio attracted a growing following in the cathedrals and choral societies of the Western counties and into Wales. In England the choruses of Messiah became especially celebrated. Under the direction of William Boyce, there was a performance in Hereford Cathedral in September 1750. A month later the work was given in Salisbury Cathedral. Performances in Bristol, Gloucester, and Leicestershire occurred between 1757 and 1759. Many performances of excerpts were given by the Hereford, Gloucester, and Worcester choral societies. As the oratorio became more widely circulated, its component parts were subject to change, although the choruses were entirely stable. Although Handel continued to experiment with the work, some numbers that had been changed in the 1740s were restored to their original condition in the 1750s. Twelve distinct productions (most consisting of two or three performances) can be counted between 1743 and March 1759. 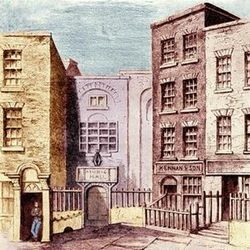 Initially, Messiah’s main roost in London in the 1740s was the Theatre Royal in Covent Garden. In England the work was considered a Passion oratorio. [Its first performance was marked for neither Advent nor Passion, since it took place almost four weeks after Easter (which fell on March 25 in 1742).] The first performance in London took place on March 23, 1743. The initial reception was more mixed than in Dublin. The cause of charity was absent. Some influential attendees regarded passages of the text setting as insensitive to the meaning of the words. Covent Garden was, of course, an opera house. Protestant England was more lax about opera performances during Lent than were Catholic countries, but oratorios offered a convenient compromise by way of the genre’s ambiguity. Musically, both consisted primarily of an opening sinfonia, arias, and recitatives. In Handel’s case, the differences between opera and oratorio were spelled out by their texts and the portions of it that were strongly emphasized musically. Handel also provided many choruses, which would have been fewer in opera. 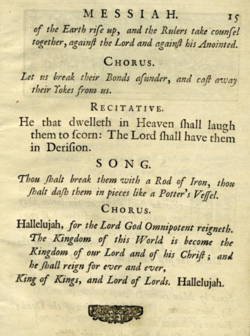 Jennens had had a strong desire to promote his singular idea of “kingship” in the musical realization of Messiah, and in this regard Handel did not fail him: the “king of kings” theme is put in high relief in the "Halleluia" Chorus, which has always been Messiah’s most highly prized element. The Foundling Hospital in a tinted illustration by Thomas Rowlandson et al., 1809. Handel was directly involved in many performances here in the 1750s, and Messiah performances were given as benefits for decades after his death. London's Foundling Hospital, established on Bloomsbury Fields in 1739, mirrored in its aims the well established institutions for orphans in Italy and France. The most famous of these was the Ospedale della Pietà in Venice, where all the orphans were female and where a select group reached the stature of musical professionals under the tuition of such maestri as Antonio Vivaldi and Giovanni Porta. Such institutions fostered strong musical allegiances because the noble families who supported them believed that music bettered the soul. They particularly cherished music made well by children. The Foundling Hospital's benefactors include such noted painters as Sir Joshua Reynolds, Thomas Gainsborough, and Handel himself. The composer provided an organ and gave benefit performances at the Hospital. At his death, a valuable set of performance parts became the possession of the institution. Today the park known as "Coram's Fields" marks the spot where the original Hospital stood. Excerpts from Messiah were performed at the Foundling Hospital in May 1749, but the first full performance in its chapel took place a year later. Messiah's annual performance became the main fundraising vehicle for the institution, and the Foundling Hospital concerts were the most celebrated of all Messiah performances given during Handel’s lifetime. The nine documented complete concerts given up to 1759 all enjoyed his direct participation at the organ, for Handel continued to provide an organ concerto even after he was beset by blindness in 1752. The concerts were usually associated with the feast of Ascension (forty days after Easter). John Christopher Smith conducted from 1754 onward. Sheldonian Theatre, Oxford, completed in 1668 on Christopher Wren's design. Messiah was performed here in 1754 and 1759. Messiah had a slightly different identity in Oxford, where it was performed in April 1749 at the Radcliffe Camera. 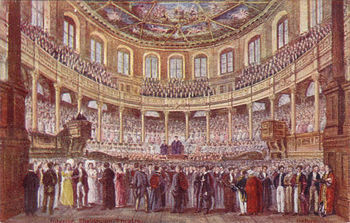 It was also given complete performances in the Sheldonian Theatre (where Handel's Athalia had had its premiere in 1733) as part of the commemoration festivities of July 1754 and July 1759. Starting in 1755, various parts of Messiah were performed separately for subscription concerts in the Holywell Music Room. One memorial performance was given at Senate House, Cambridge, under John Randall (later a music publisher) in May 1759. 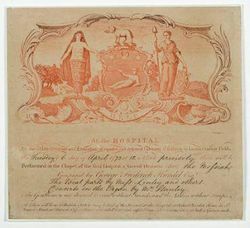 A ticket for a Foundling Hospital performance of Messiah in 1773. His is the muse for the English character. He writes to the masculine genius of a free people, and it was only by such an execution that the true majesty of his composition could be demonstrated. It has been attributed to music that enervates the mind....If any thing can arouse the faculties and coagitate the masculine passions of the soul, it is the music of Handel, performed by such a band as are now engaged in his commemoration. Messiah eventually attracted a great following in Germany and Austria. Christoph Daniel Ebeling translated Jennens's text into German in c 1782. W. A. Mozart arranged the work for performance at one of Gottfried Baron von Swieten's concerts in Vienna, in 1788. Carl Maria von Weber included Part Three of Messiah in a concert he conducted in Dresden in 1824. Felix Mendelssohn was greatly devoted to Handel's oratorios and conducted the full oratorio at least once in Düsseldorf between 1833 and 1835. Because of the immediate popularity of individual choral and vocal numbers in Messiah, the work was rapidly circulated and adapted to varying circumstances. The rise of choral societies in the third quarter of the century had a symbiotic relationship with Handel's masterpiece. The more the work was performed, the greater the number of groups performing it. Inevitably, each new venue created its own opportunities and limitations. Soloists and sometimes keys of particular pieces could be altered. Orchestration accommodated the resources available. Performance practices evolved in more general ways. Samuel Arnold, whose edition of Messiah was published in 1790. Samuel Arnold was the first person to collect all of Handel’s then-known music and publish it. By the time he did, performance practice had evolved in general ways that he applied to his edition. His edition of Messiah appeared in 1790. It contains much richer figuration of the basso continuo than earlier manuscript versions. This is likely to reflect the reduced training that accompanists were receiving in the “realization” of the sketch of an accompaniment that a continuo player was expected to provide. A more detailed prescription was required. The skills that he brought to the task from long experience as a harpsichordist at Covent Garden suggest that his figuration represented the highest standards of the time. In 1793 Arnold was appointed organist of Westminster Abbey, where he was buried in 1802. As a composer he is best remembered for his Psalms of David (1791), several oratorios, a few operas, and many hymns. 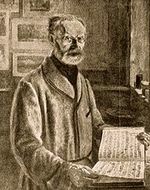 Friedrich Chrysander, whose edition of Messiah appeared in 1902. Chrysander's edition of Messiah appeared as Vol. 45 (1902). It can be downloaded from the website of the Munich Digitalization Center (part of the ViFaMusik project) at http://daten.digitale-sammlungen.de/~db/0001/bsb00016880/images/index.html. The current effort to publish all known music by Handel resides with the edition managed in Halle, Germany. It was initiated in 1952 with the intention of supplementing HG, but discoveries continue to be made, and in 1958 it was launched as a new edition. New editions are organized (mainly by musical genre) into series. Particulars can be found at the editions' website. The edition is distinguished from others by the abbreviation HHA, but HWV Händel-Werke-Verzeichnis  are now preferred. Multitudes of stand-alone editions of Messiah exist. The MuseData edition, undertaken by the Center for Computer Assisted Research in the Humanities in cooperation with Philharmonia Baroque in 1989, was intended to produce a collection of performing materials that represented all versions of the work known through the time Handel died in 1759. Eighteen manuscript sources are regarded as pertinent to early performances, but surviving source material and documented performances do not match on a 1:1 basis. Numerous eye-witness accounts of individual performances suggest that we will never know every detail of any one of them. Some known performances are survived by no sources. Multiple performances with differences between them may need to be traced through the complex fabric of a single, many-times-altered source. Otherwise valuable early materials postdate Handel’s death and may reflect the opinions and preferences of the transcriber. A best-guess effort to define Handel's last thoughts on preferred versions of individual pieces within the work was hypothesized by Jens Peter Larsen. Over time the differences from one version to another can be said most often to reflect changes in voicing or orchestration. A few pieces became shorter with revision. There was a slight increase in the use of choral material, although the choruses were by far the most stable elements of the work. There is no formula by which these tendencies can be broadly applied. Messiah's continuous state of evolution leaves many open questions for today's performers. Page from the 1749 libretto for Messiah showing the final numbers in Part Two. The complete libretto can be downloaded from the Händel-Haus Halle. To relate fluctuating source contents to MuseData performing materials please consult Table A (downloadable below). Version Nos. 1,2: Discrepancies are first noted between Handel's autograph (summer 1741) and the libretto for the first public performance (April 1742). Version Nos. 3-6: Librettos map changes from year to year, but the music for all the Covent Garden performances issues largely from one manuscript source. Version No. 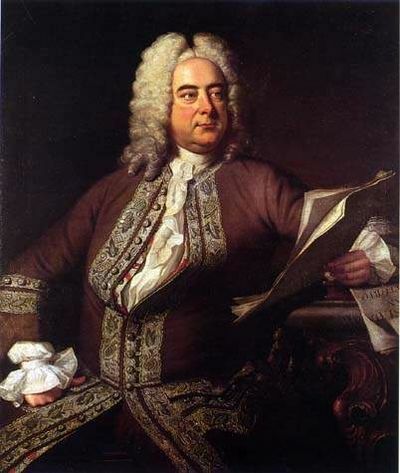 7: We know that from 1754 onward Handel participated in performances at the Foundling Hospital. The Hospital's performing parts survive from these years. Version No. 8: Handel's conducting score is a valuable source for mapping changes in his thinking and documenting his own idea of a best version. Version No. 9: The 1761 manuscript by James Matthews is regarded as contemporary with Handel's own versions because Matthews sang in multiple productions of the work. Table A. Versions of Messiah reconciled to MuseData Editions. The MuseData editions (1990, 2003) attempt to incorporate as many of the variants as needed to perform one or another historical version with reasonable fidelity to what we know of its probable contents. These variants are explained in Table A. Note that certainty is not always possible, and that in a few cases the content may be certain but the music is lost. The Dublin libretto (1742) shows minor changes in the first version as it was performed in 1742. The variant of “How beautiful are the feet” that we identity as 2.16E (closely related to 2.16D) may represent a modification prepared for the Chapel Royal in coincidence with the earliest London performances or perhaps the Dublin premier. 1 Doubling of voices and instruments: Handel’s particular style of composing music offers economies of paper usage wherever possible. This sometimes makes his intentions unclear. Violins were usually separated into primi and secondi (firsts and seconds). Only documentary evidence gives any indication of how many instruments played to a part. 2 Bassi and Tutti bassi: In a context of strings only, Handel’s bassi were cellos and double basses. In a string-and-wind context, bassi parts could include bassoons: the cues “with bassoon” and “without bassoon” (con or senza fagotto) are the only clues to shifts in the accompanying instruments. The cue Tutti bassi has the overall intent of requiring all available instruments of the bass register, but its instructional value is relative, not absolute. 3 Oboe scoring: Oboe parts and cues are absent in the autograph and other manuscripts of the 1740s, but their use is well documented for the Foundling Hospital performance of the 1750s and may have been used prior to written indications. Parts for oboes are preserved in the Coke Collection (at the Foundling House) and in a manuscript at King’s College, Cambridge, dating from the last quarter of the eighteenth century. 4 Brass and Percussion: Clear evidence of the use of trumpets with timpani becomes firmer in the 1750s. Overall usage clearly varied from place to place. Oboes, horns, and kettledrums (timpani) were all used at the Foundling Hospital performance of the 1750s. Two oboes and one bassoon, with horns, trumpets, and drums in unspecified numbers, played with a string orchestra of 24 at Salisbury Cathedral in 1752. A Foundling Hospital performance in 1754 involved four oboes, four bassoons, two trumpets, two horns, a pair of kettledrums, and a string section of 24. The Matthews manuscript also provides clear evidence of the use of oboes. Some individual arias assumed particular identities as they were transmitted from place to place. They often acquired heavy ornamentation in the process. Among the most informative early manuscripts are the Goldschmidt manuscript in the Pierpont Morgan Library, New York, and the Matthews manuscript in the Marsh Library, Dublin. Some choices are left to the discretion of performers. For example, soprano and tenor are alternatives for a few numbers, but if no change of key, text, or instrumentation is involved and only octave transposition is required we provide only one text. Variations in content are largely confined to a few numbers in each section of the oratorio. Some were changed over and over. Full details correlating MuseData content with specific versions can be downloaded in Table A (above). The earliest collective use of the the variant material included in the MuseData score and parts was by Philharmonia Baroque Orchestra (directed by Nicholas McGegan) with the UC Berkeley Chamber Chorus (led by Bruce Lamott). Harmonia Mundi recorded a "main version" and most variants in 1991 (HMU 907050.52). The CD-user could, by following a trail through the bands of the CD set, program any of the versions that have survived from Handel’s lifetime (or shortly thereafter). More recently, these materials have been made available online through multiple vendors, e.g. amazon.com (http://www.amazon.com/Handel-Messiah/dp/B000QQUX1Y) and iTunes (http://itunes.apple.com/us/album/handel-messiah/id82182810). Many other recordings of the work exist, but these are the only cases we know of that make alternative versions available for comparison. We provide two largely overlapping editions of Messiah. The first (1990) attempted to combine all the materials required to recreate a number of the earliest performances. It was largely based on the Chrysander version, with revisions reflecting more recent discoveries by Nicholas McGegan, John Roberts, and Eleanor Selfridge-Field. A few practical changes were suggested by performers. Although a total of eleven versions are partly or wholly discoverable, they are subsumed in a collection of five paths (A, B, C, D, E). (Most numbers remain the same from one version to the next.) The 2003 materials take advantage of improvements in typography and enhanced continuo figuration (based on the Arnold edition). Full Score (2003 version), 280 pages. Parts: Violin 1, Violin 2, Violin 3, Viola, Basso continuo, Oboes 1 & 2, Trumpet 1, Trumpet 2, Timpani. Continuo part (2003 version), with figured harmony based on the Samuel Arnold Edition of 1790, 101 pages. Expanded Continuo part (2003 version), with figured harmony based on the Samuel Arnold Edition of 1790, 197 pages. Included continuo part plus treble staff with melodies and primary voices. Choral score (1990 version). Movements with vocal parts, plus first violin and basso continuo parts. Full Score (1990 version), 404 pages. Table B. Roadmap to MuseData editions of Messiah. ↑ Peter Gay's phrase "pagan Christianity" (1966: Vol. 1). ↑ The trumpet was a transposing instrument..
↑ Starting with a performance of Alexander's Feast, the new series continued on Wednesdays through April 7, when the featured work was a revised version of Esther. ↑ In those days the infirmary focused on separating the sick from the well, rather than on treating the sick. ↑ The error was based on a failure to reconcile Julian dates falling between January 1 and March 25 with with the Gregorian calendar, which was adopted in England 1752. Handel was born on February 23, 1685, and arrived in England in 1711. ↑ Handel Reference Database, p. 1261. Baselt, Bernd. Dokumente zu Leben und Schaffen, v. 4 of the Händel-Handbuch Kassel: Bärenreiter, 1985 being a revised and expanded version of Deutsch's Documentary Biography, cited below]. Beeks, Graydon. "Messiah Anniversary," Newsletter of the American Handel Society, (August 1991), pp. 1-5. Reproduced at http://www.americanhandelsociety.org/documents/Summer1991.pdf. British Library: Autograph Manuscript [R.M.20.f.2] of Handel’s Messiah (as a “virtual book”): http://www.bl.uk/onlinegallery/virtualbooks/detect.html?id=38FD72B2-5B98-4FC2-AAAE-98E717E8D512&accessfolder=handel. Burrows, Donald. "Handel and the Foundling Hospital," Music & Letters 58/3 (July 1985), 201-219. Burrows, Donald. “'Mr. Harris's score': A new look at the 'Mathews' manuscript of Handel's Messiah,” Music & Letters 86/4 (Nov. 2005), 560-572. Burrows, Donald. “The autographs and early copies of Messiah: Some further thoughts, Music & Letters, 66/3, (1985), 201-19. Burrows, Donald (ed). The Cambridge companion to Handel. New York, 1997. Deutsch, Otto Erich. Handel: A documentary Biography." New York, 1995. Larsen, Jens Peter. Handel’s Messiah. New York, 1972. McGegan, Nicholas. "Which Messiah?," Musical Times, 133 (1797), 577-579. Marx, Hans Joachim. “Die 'Hamburger' Direktionspartitur von Händels Messiah,“ [“The Hamburg Conducting Score of Handel’s Messiah“], Festschrift Klaus Hortschansky zum 60. Geburtstag [Festschrift for Klaus Hortschansky on his 60th birthday]. Tutzing: Hans Schneider, 1995, pp. 131-138. ISBN: 3-7952-0822-X. Myers, Robert Manson, "Fifth sermons on Handel's Messiah," Harvard Theological Review 39 (1946), 217-241. Shaw, Watkins. A textual and historical companion to Handel's Messiah, Sevenoaks (UK), 1965. Rev. edn., 1982. Shaw, Watkins. “Handel's Messiah: Supplementary notes on sources,” Music & Letters 76/3 (August 1995), 356-368. Smith, Ruth. Handel's Oratorios and Eighteenth-Century Thought. Cambridge, 1995. Smith, Ruth. "The Achievements of Charles Jennens (1700-1773)," Music & Letters 79/1 (Feb. 1998), 50-71. Weber, William. "The 1784 Handel Commemoration as Political Ritual," Journal of British Studies 28/1 (Jan. 1989), 43-69. The complete Händel-Gesellschaft edition is available in digital files from the Munich Digitization Center’s website: http://daten.digitale-sammlungen.de/~db/ausgaben/uni_ausgabe.html?projekt=1193214396&recherche=ja&ordnung=sig. Over the course of 22 years, the MuseData Messiah project has benefitted from the contributions of many people. The original edition was by Nicholas McGegan, John Roberts, and Eleanor Selfridge-Field, with encoding by Frances Bennion and Edmund Correia Jr. The introduction of the Arnold continuo figuration and preparation of the short scores (2003) are the contributions of Walter B. Hewlett, who also developed the software used for preparation and management of the score and parts. This wiki site has been developed by Craig Stuart Sapp and Eleanor Selfridge-Field. Valuable insights and advice have been given in recent years by Don Anthony, Graydon Beeks, Ilias Chrissochoidis, John Phillips, and several others. Published on December 21, 2011 by the Center for Computer Assisted Research in the Humanities at Stanford University. Comments may be sent to esfield ||at|| stanford.edu.